I meet a lot of people, it’s just a part of the travel experience. Sometimes I’m not always ready to meet them though. If I had a bad day or am feeling particularly introverted, I may not be open to learning about them and their lives. That’s a shame because whenever I do I am richly rewarded with great stories from warm, open hearted people. If travel has taught me one thing it’s that most people almost everywhere are fundamentally good. From simple gestures to amazing efforts to provide aid, I am routinely shocked by our ability as humans to help out someone in need. That’s why it’s hard to choose my favorite person I met throughout my 2012 travels. 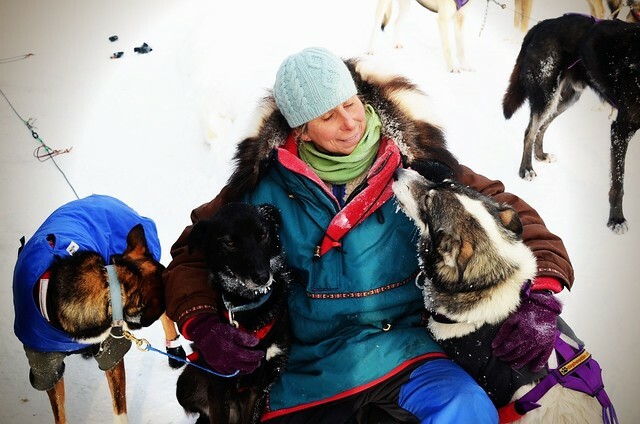 So many people touched me in so many different ways, but if I had to choose (and I do) then I have to point to Megan Routley the owner of Kingmik Dogsled Tours in Alberta, Canada. Megan is a seasoned vet of some of Canada’s most inhospitable areas. She’s explored the Northwest Territories, the Yukon and spots on the map that will probably never have a name. 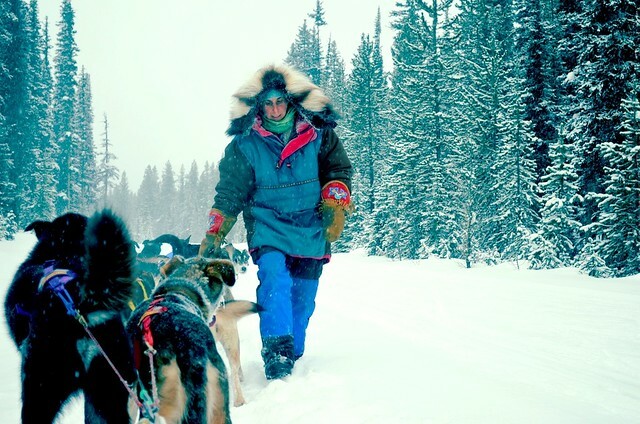 All of this has been done in the harshest of winter weather conditions and all in the name of training with her dogsled team, her true love in life. Megan is also the owner of Kingmik Dogsled Tours, a business she took over several years ago and has been growing ever since. Kingmik has a long history in the region and was the first to offer world class dogsled tours around the Lake Louise area. The tours have always been popular, and with good reason. The experience was an exhilarating one that I shall never forget. I have to admit, I fell in love with Kingmik tours during my excursion, but spending a couple of hours on a sled chatting with Megan taught me a lot, and convinced me that we had made the best decision possible by booking with them. The tours are obviously how Megan makes a living and how she can afford to care for her pups. But she also has several other mushers who contract with her, and as business waxes and wanes, so does their ability to take out visitors and make money. Don’t get me wrong, business is strong for them, but it’s not what it used to be. The most telling thing Megan said to me that snowy Sunday was that “if people don’t come, Canadian, Americans, or whoever, how can they learn about this important heritage?” And that’s exactly right. Have you met any interesting people this year? You are absolutely right. We owe it to the place we visit to make the best possible choices while staying there, and helping to keep traditions alive is one important consideration. Dog-sleding is something I’ve always wanted to try.. being Canadian, I think it’s my national duty, in fact! The next time the wind blows me in the direction of Calgary during the winter, I’ll be sure to pay Megan a visit! No need to be around Calgary. Most provinces and territories have one, and often more, sled dog kennels that offer trips ranging from several hours to overnighter and even weekend packages. Most of these operators are every bit as friendly and knowledgeable as Megan because they share her passion for sled dogging. People do not get into this business to get rich cause they won’t, they do it for the love of sled dogs. That all being said I have met Megan several times on the trail and she is truly a wonderful and inspiring person whom I would recommend to anyone who wishes to go on a tour. I am a big proponent of find locals who do tours of local spots. I had a wonderful experience this year with the owner of Dreamland Safari Tours in tiny Kanab, UT who took my hubby and I on several tours during a 2-day visit and we just got back from a weekend visit in December in which we never doubted we would book with Dreamland – when you meet hard-working local people who really depend on business and not just big national chains you feel so much better and you know you are putting your money into that location. Not only that, but they’re so much more PASSIONATE about their regions. That adds a lot to the experience as well.